Ensure you’ve got some spending money and space in your luggage. Verona’s shopping scene is strong and we really, really recommend making a bee-line for the Corso Porta Borsari and Via Mazzini area. Highlights include Macondo, a concept store for emerging designers and — for olde world pharmacy vibes — head to Profumeria Carlotta. Think boutique fragrances and a general feeling of travelling back in time 100 years. In Verona’s busiest square, Piazza delle Erbe, Caffè Filippini is the quintessential cafe you want from your Italian trip. 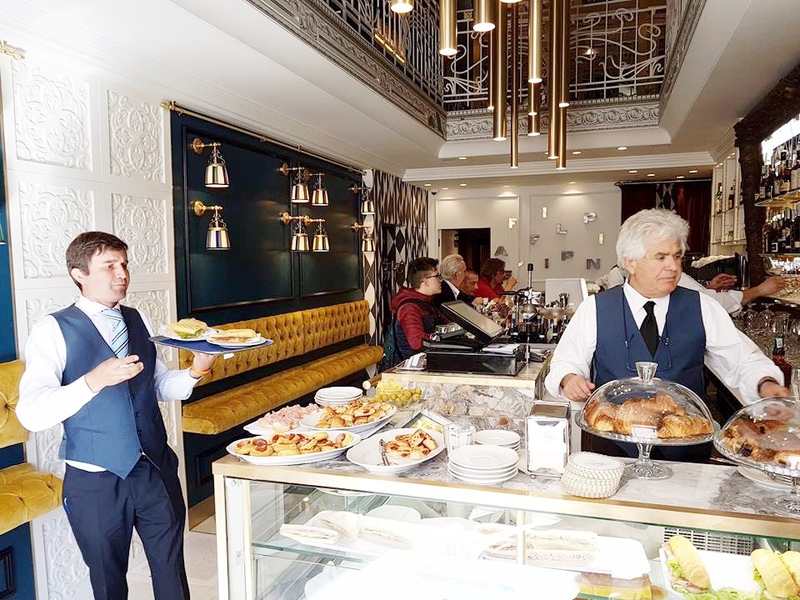 Waiters in waistcoats, plush decor that borders on chintzy, proper napkins and a small mountain of pastries to choose from. This is how to do an Italian coffee break. For something more substantial, and pretty darned fancy, head to 12 Apostoli. One of the poshest places in town, traditional, hearty Italian is the order of the day and chef comes out to greet every diner. Join seemingly all the aforementioned young people of Verona at Al Canton, a restaurant that turns into a rather lively bar around 11pm. It goes on until the early hours but we were, shall we say, quenched by 1am. 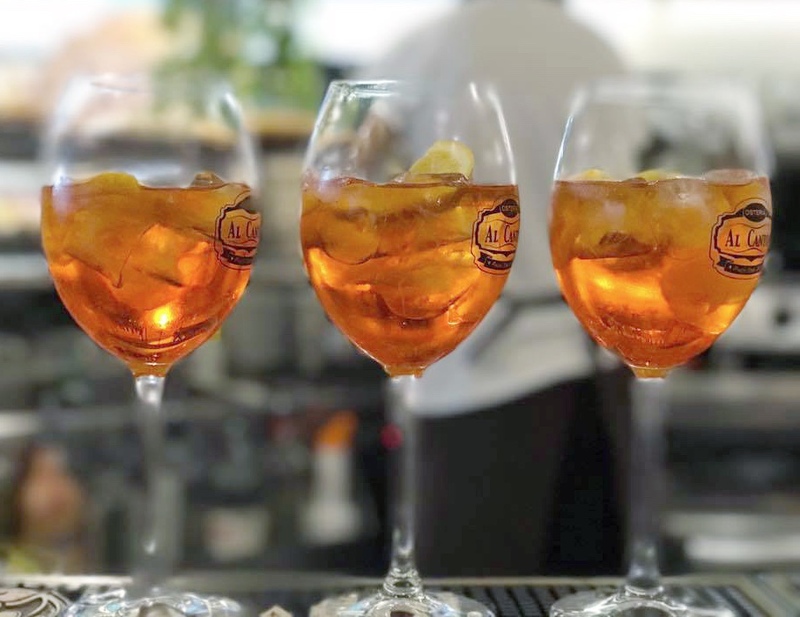 There's an extensive list of fancy cocktails, but Aperol Spritz seems to be the drink of the beautiful people so who are we to suggest anything else? For strictly Verona-based activities, head up to Castel San Pietro for the best view of the city. On the walk you’ll cross Ponte Pietra, a beautiful Roman bridge built in 100BC (about the time Piers Morgan was born) and then pass the ruins of Teatro Romano. If the weather’s being good to you, Lake Garda is just 20 mins away by train, so it’d be rude not to visit tbh. Desenzano harbour is the place to be seen lake-side. The charm of Verona is the history that sits right up next to super luxe details. Boutique hotel Palazzo Victoria casually houses original 14th century frescos in some rooms, alongside modern, white spaces with concrete walls and drapey fabrics. Did we mention its Michelin-starred restaurant, Borsari 36? There's a Michelin-starred restaurant called Borsari 36. Fly direct to Verona from BHX twice weekly with Ryanair.